Tell us about yourself, who you are and what you believe in. And please don't use Google Translator, like Yogi Adityanath recently did. If Mayawati joining Twitter ahead of the Lok Sabha Elections 2019 conveys a message, it’s this: the battle of words preceding the big battle of ballots is going to be hard. There will be attacks against attacks. Also, please note the timing. Just after the Congress announced Priyanka’s entry in politics in UP. The rejoinder is not only a Twitter account for Behenji. The BSP leader who stayed away from social media for so long, even during the UP Assembly elections, now has a website under construction. 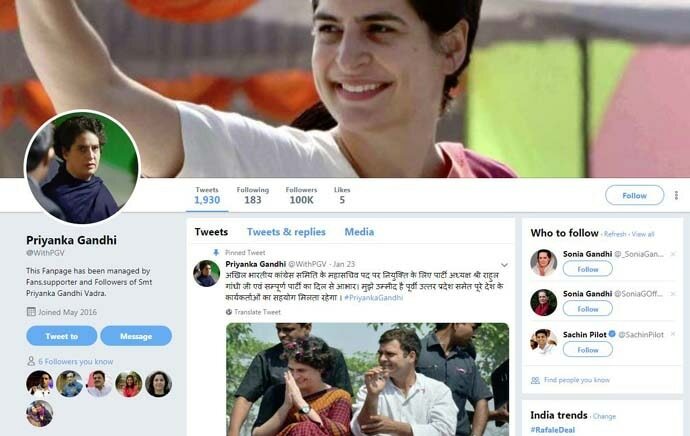 The day the Congress announced the induction of the Gandhi daughter into formal politics as the party general secretary in eastern UP, Priyanka Gandhi trended on Twitter, though she doesn’t have an official Twitter account yet. According to reports, Priyanka will soon join the micro-blogging site. But, we wonder, what’s taking so much time? Meanwhile, a number of false accounts named after Priyanka Gandhi are having a free run on Twitter. They are posting daily updates of whom she is meeting, where she is going, etc., camouflaging as a fan page. And, believe us, thousands are following these accounts. We don’t know exactly when Priyanka Gandhi is coming onto Twitter. The nation is holding its breath, of course. 1.). Twitter presence matters. Tweets with personal touches matter more. The party must be in the process of setting up a team for Priyanka Gandhi’s social media presence. 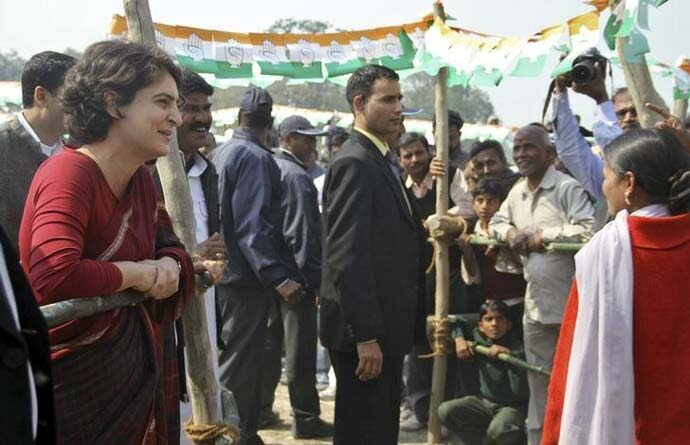 Please don’t retweet everything the Congress and Rahul Gandhi tweet — we want to know what Priyanka Gandhi thinks. Not what the Office of Priyanka Gandhi thinks. 2.). Choose your language according to the occasion. Tweet in Hindi. On hyperlocal issues. 3.). Don’t rely on Google Translator though — like UP Chief Minister Yogi Adityanath suddenly did during his recent Bengal visit. This can lead to disasters. 4.). Take a strong stand against all the sexist attacks that you have been subjected to on social media. 5.). Interact. Indulge in a little bit of humour. And, of course, keep it short.